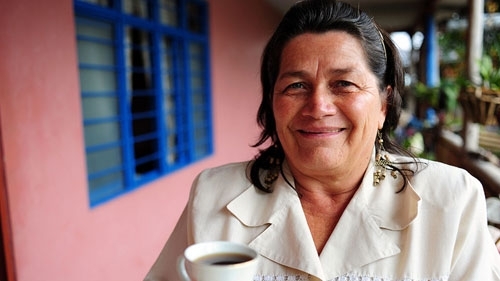 That is because the Latin American women in our story are small-scale rural entrepreneurs who have conquered global markets in areas as competitive as coffee or dental floss (in Colombia alone, there are half a million coffee farmers). Recently, I met with these women to find out whether the Colombian Ministry of Agriculture project we are supporting was really meeting their expectations. With financial support from the project -Alianzas Productivas (Productive Partnerships) - the women’s cooperative in El Tambo, in the Cauca Valley, has improved its organization and production. The cooperative has invested in coffee harvesting machinery and in marketing programs for their products, which are now sold on international markets. But what really caught my attention and what I believe demonstrates the real value of this program was expressed in a few responses that summarize the gender equality debate. All of these issues are addressed in a comprehensive World Bank study on gender equality in Latin America. The study report observes that women in the region have made significant strides to close the gender gap over the past decade. While this has empowered them, they must still balance the new demands of their working life with family life. The report concludes that governments of the region should tailor their public policies to ensure that this work-home balance occurs on a larger scale. I am very pleased that our agricultural project promotes the gender agenda by helping to empower female rural entrepreneurs in the region. While this blog describes a specific case in Colombia, this type of initiative occurs all over Latin America. Specifically, the Alianzas Productivas Project is implemented in nine countries of the region, which in numbers means: 5,000 rural associations, or 250,000 families, or 1.5 million people. The 112 entrepreneurs in our story belong to a women’s cooperative, the AMACA (Cauca Association of Women Farmers). Established in 2004, it did not always enjoy success. Results fell short in terms of reaching a global market. However, after joining Alianzas Productivas in 2008, its luck changed. Another, similar Colombian cooperative also achieved global stature thanks to the project. I recently discovered that the organic dental floss we use at home is produced by a “relative” of AMACA, the COSEDA. While the focus of Alianzas Productivas varies depending on the country and its circumstances, the basic idea is the same: in order to earn enough from their land, farmers must link with dynamic markets under fair terms, in addition to applying sustainable production methods. There is increasing evidence that this is a powerful premise: in Bolivia, where 15,000 smallholder farmers participated in the Alianza Productivas Project, their household income nearly quadrupled, from US$640 to US$2,400 annually. We have also found that the project encourages green, inclusive production: 20% of Bolivian farmers participating in the project use organic production systems and many farms are in remote areas, directly benefiting indigenous farmers. Moreover, as we have seen, Alianzas Productivas is a good fit with rural women’s cooperatives. That is why I say there is no better way to celebrate International Women’s Day than to recall the “heroines” of a remote Colombian village, which now has a direct route to our largest cities. Very nice post of the day. I hope every one should get the maximum benefit from this. who has been doing a little homework on this. And he in fact bought me dinner due to the fact that I stumbled upon it for him.